You have certainly seen this question type in many other exams. On most Microsoft exams, the vast majority of the questions will be multiple choice. 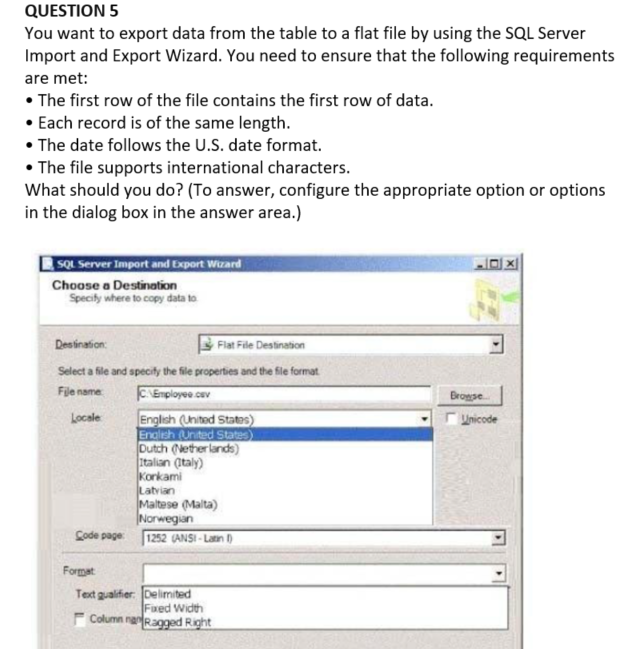 This item type presents a scenario, a question, and often a minimum of four answer options. One variation of this kind of multiple choice questions is referred to as Best Answer. It is a standard multiple-choice question that may have one or more correct answers, but exam candidates must pick the BEST answer. Repeated answer choices are like multiple choice questions, but with a much longer list of options from which test-takers must choose one or more correct answers. 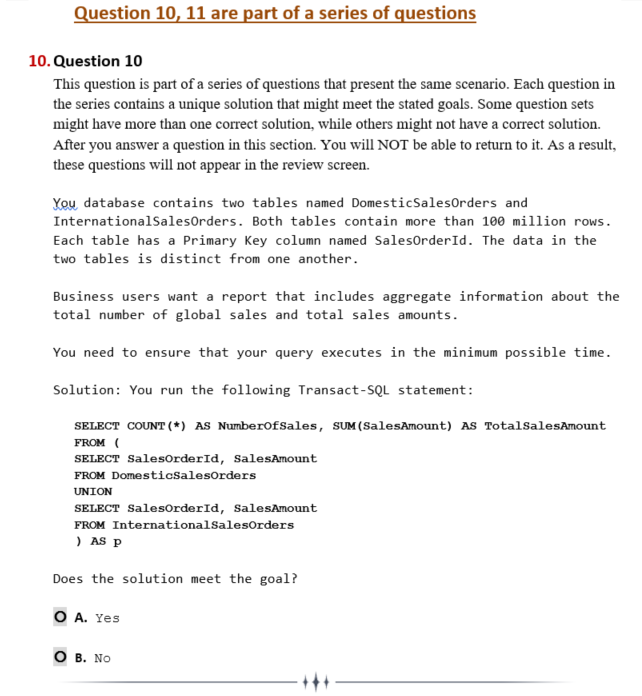 These questions appear in sequence, and each question in the series has the exact same answer options as the previous question. Each question is worded slightly differently but with the same set of answers, however, the answer could be different for each question. This type of questions is somewhat more challenging as the correct answer is different even through the choices are the same and the question may be very similar. This is a kind of Drag and Drop type question but you need to put your selections in the correct order. These questions have a screen shot of GUI tool where you have to fill out the screen by choosing options on the screen. To correctly answer Active Screen questions requires the exam candidate has hands-on knowledge of a given scenario. 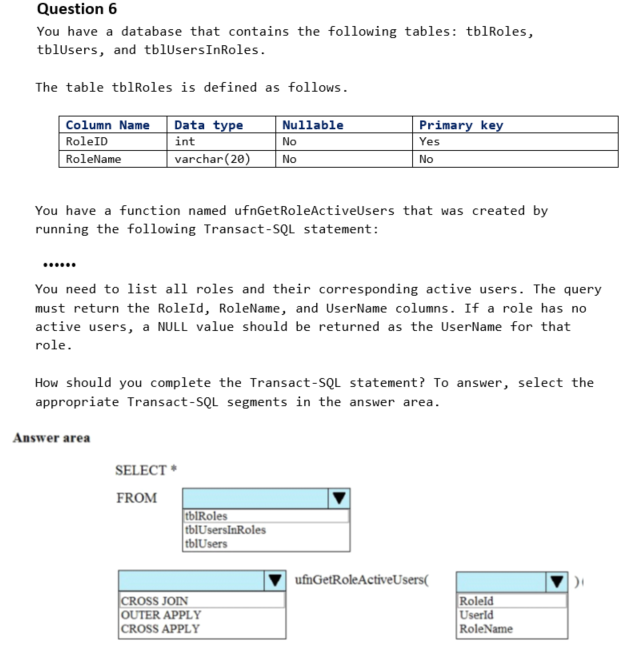 This type of questions often appears in SQL server admiration exams such as 70-462 Administering Microsoft SQL Server 2012/2014 Databases. 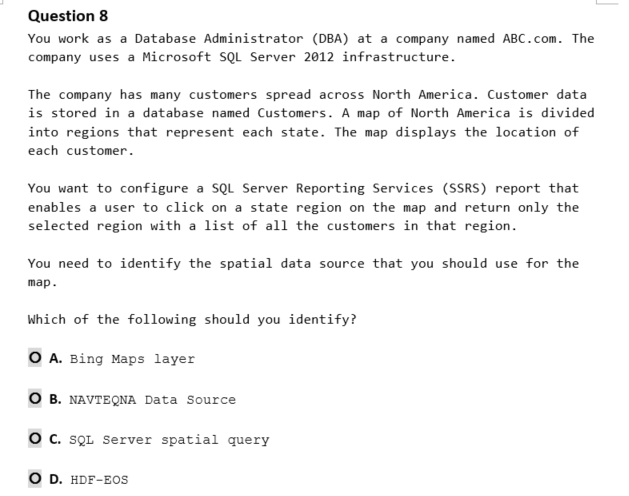 Hot area questions are similar to multiple choice questions, but rather than selecting a text-based answer, you are required to click on one or more “hot areas” within a graphic. Hot area questions use a split screen. 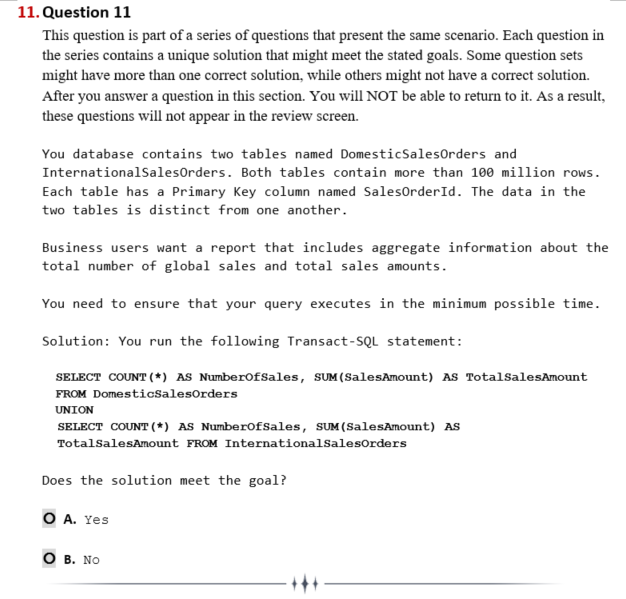 The actual exam question appears at the top of the screen and the graphic on which you have to click the correct answers appears at the bottom. The graphic is usually a copy of a dialog box from the software on which you are being tested. You as a test taker will be able to quickly identify selectable elements as they are marked with a border and are shaded when you move the mouse pointer over them. Clicking an element will select it and will be identified as such when the area around the element turns gray. If the test taker wishes to make changes to their selection or selections they can either click a single choice a second time to deselect it or click the Reset button to reset that entire question. This type of question will require a test taker to actually write the code into a text box/area. 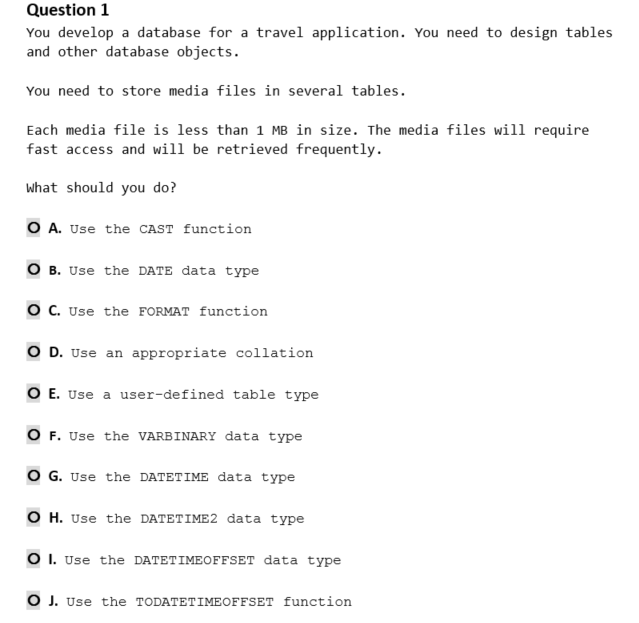 The questions test your hands-on knowledge of the correct code use, the proper order of the code and syntax of the code. 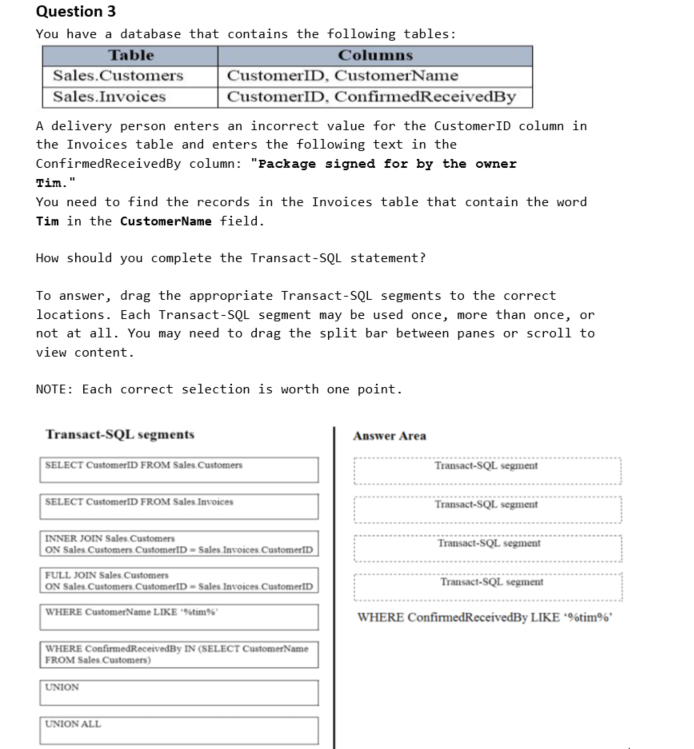 You might be asked to either writing a stored procedure, trigger, user defined function or similar code snippets. 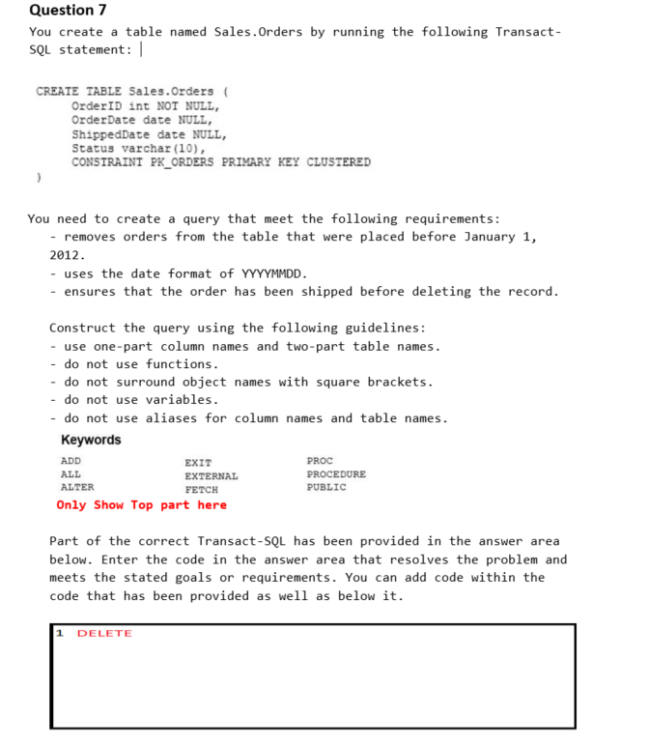 SQL Keywords are provided in a separate tab to assist you with writing code. There will be no intelligence when you start writing your code in this text area. 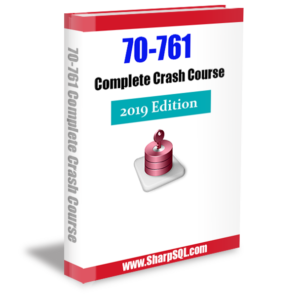 Case study questions are found on some of the more advanced Microsoft exams such as Exam 70-463 Implementing a Data Warehouse with Microsoft SQL Server 2012/2014. Case study questions start by providing a long and detailed description of an organization’s current state and its goals. You can expect to receive six to ten or even more questions based on this information. 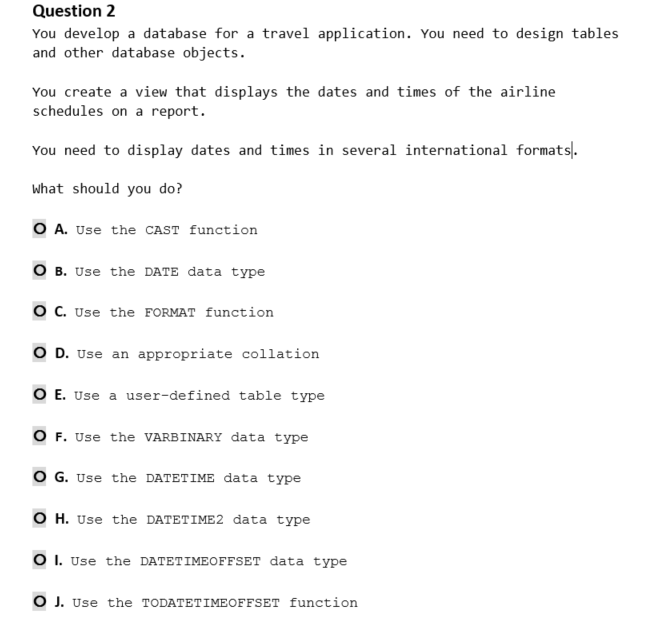 The questions themselves are usually just multiple-choice questions, but you have to base your answer on the case study information. You will have to spend more time reading through the case study than you would with other questions. 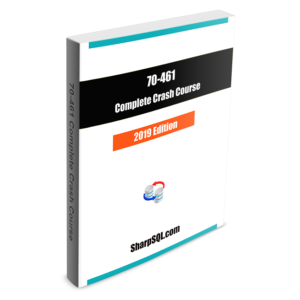 You will also need a high level of reading comprehension to extract the information required to answer the questions presented in the case study. About a year ago Microsoft introduced a new question type: Yes/No Questions. In this new type, what you will see is a series of multiple choices questions that state a problem, a potential solution, and then ask you to indicate if the solution solved the problem (by selecting “Yes”) or not (by selecting “No”). One thing is particular for this type of questions: you can NOT return to questions, review, and possibly change your answer, as a result, these questions will not appear in the review screen. This question is part of a series of questions that present the same scenario. 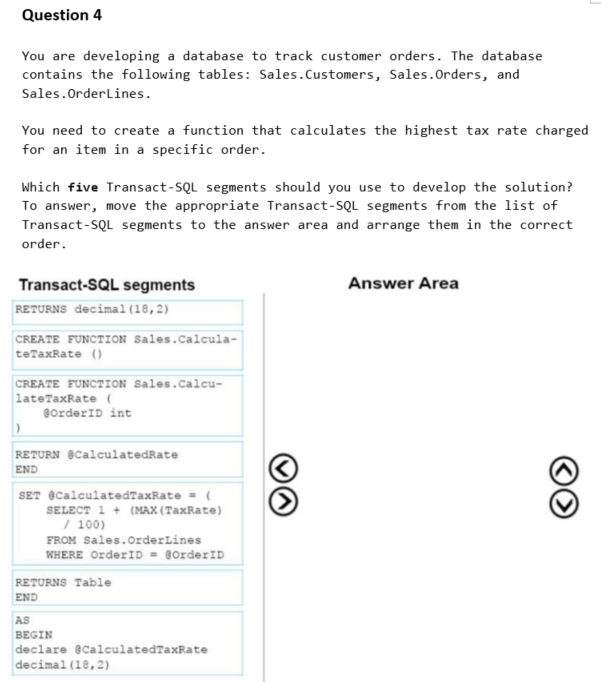 Each question in the series contains a unique solution that might meet the stated goals. Some question sets might have more than one correct solution, while others might not have a correct solution. After you answer a question in this section. You will NOT be able to return to it. As a result, these questions will not appear in the review screen. 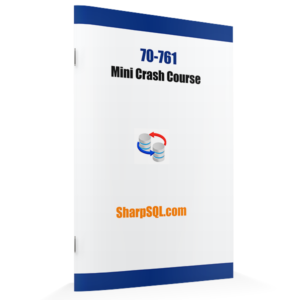 In the next several classes in this Exam 70-761 Mini Crash Course, we will learn how to answer the various question types in detail.